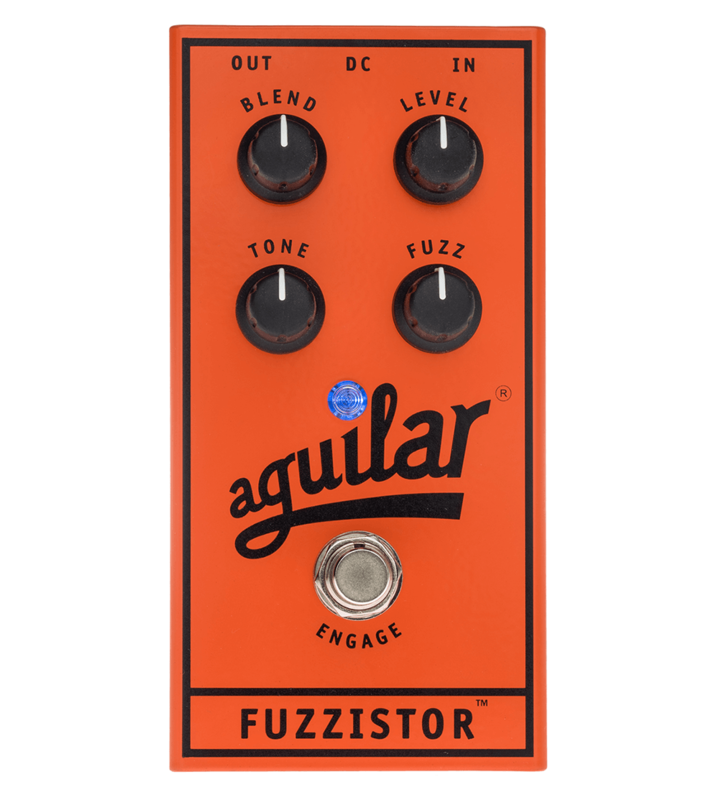 Delivering the deep and textured tone that Aguilar bass pedals are famous for, the Fuzzistor® provides classic silicon transistor distortion. The Fuzzistor® allows for complete control over the BLEND of the clean and Fuzz sound, the amount of FUZZ from subtle to crushing, LEVEL for gain matching, and TONE which is a tilt EQ that changes the harmonic structure of the Fuzz from booming to gnarly. Crank up the fuzz and 1971 will be in the house!